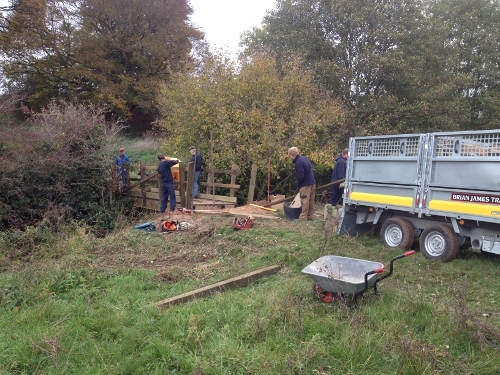 A new bridleway bridge has just been completed over the brook behind Hadley Farm. A joint effort between the Shropshire Council Footpath the Whitchurch Walkers P3 teams. This splendid construction restores the route of the Whitchurch Wheel and Walk 10 from the book of 10 walks. Well done everyone! Unfortunately the “permissive route” shown on the map between points 10 and 12 was never formalised. You need to follow the rights of way via point 11 as described below. This text appears in copies now on sale and in the route description on this website. Closed on safety grounds. There is no local diversion. The best way round is to use the canal towpath between Danson's Bridge and Hadley Moorings. The funds raised from this event are exclusively for Cancer Research UK andLingen Davies Cancer Fund. We are enormously grateful to all of the individuals and businesses who have provided encouragement, support and money to get the Oswestry Round Challenge established. It is through them that we have been able to stage the Oswestry Round Challenge without making any deductions from the money raised for the cost of the production of the guide book or the event. Nearly 150 brave souls have taken on the challenge to date and have raised more than £27K, of which every penny went to Cancer Research UK andLingen Davies Cancer Fund. The Oswestry Round Challenge is now in its 3rd year and we look forward to welcoming and supporting those taking part in 2018. 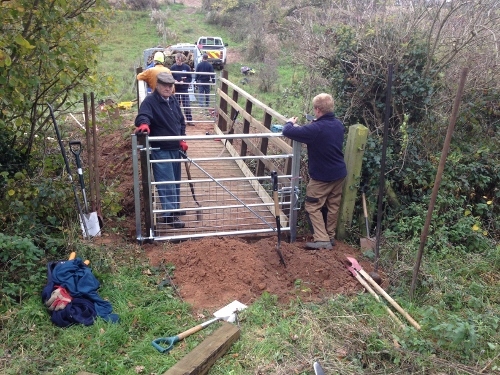 Bridleway 42 north of Hadley Farm - until drier weather allows vehicle access for repair of bridge. Closed on safety grounds. 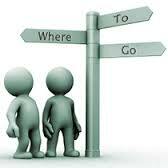 There is no local diversion. The best way round is to use the canal towpath between Danson's Bridge [but see above] and Hadley Moorings. 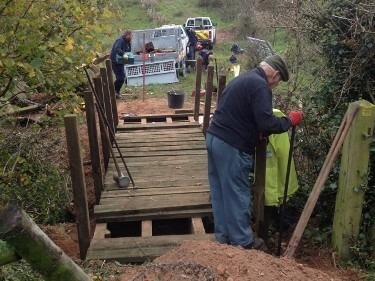 This affects both the Whitchurch Wheel and Walk 10 in our book of walks. Shropshire Council intends, to make an order temporarily prohibiting the use of that part of Bridleway 60 at Hinton Court, Wirswall from GR SJ 5394 4327 running generally north easterly, and including a very short section of FP 56, for approximately 210 metres to GR SJ 5409 4344 a few metres from the County boundary. The Order will come into operation on 3 April 2018 and is required on the grounds of public safety to allow the installation of a new water main to Wirswall Service Reservoir. There is no alternative route in the immediate vicinity. "A Meander round Prees Heath through the two World Wars" by local historian Roger West. 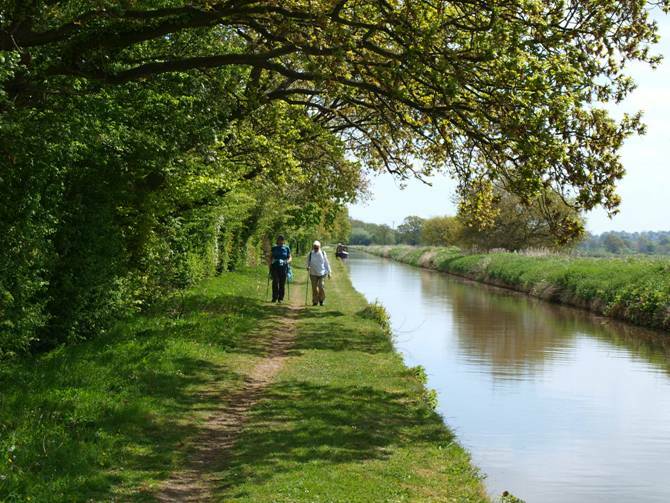 We will take the number 72 bus at 09.55 from White Lion Meadow [Tesco] to Wrenbury, then we will walk back along the canal with a pub lunch at the Willey Moor Lock Inn. After lunch continue on the canal to Jackson's bridge, cross the canal, then walk over the fields back to Whitchurch. The walk will be around 7 1/2 miles, please bring your bus passes if lucky enough to have them! I had intended to do a different walk, but the "lurgy" has grounded me for a few days, so not been able to recce the walk, so will try and do it next time. Anyone interested please meet at Tesco around 09.45, and I would guess we should be back around 15.30, hope to see some of you on Tuesday 9th, Peter. 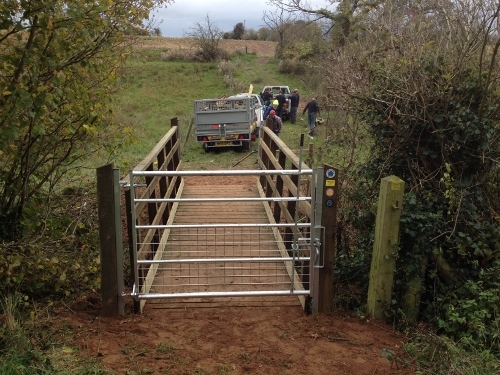 The Shropshire Way has a new website shropshireway.org which has recently gone live. It is not yet complete but descriptions and maps for The Southern Main Route are in place. The Northern Main Route is being worked on as are accommodation lists and other details.